Disclosure: The author was an employee of Carleton University’s the Charlatan newspaper staff between 2005 and 2006, and is also a former Charlatan board member. Campus media serve as a vital training ground for young journalists looking to break into the field. But in the wake of the Ontario government’s decision to make most post-secondary student levies optional, researchers and campus news outlets worry that as the cuts take hold, not only will a new generation of reporters lose critical opportunities for on-the-job training, but also readers outside of schools will lose access to one of the remaining bastions of local news amid a sea of community newspaper cutbacks. 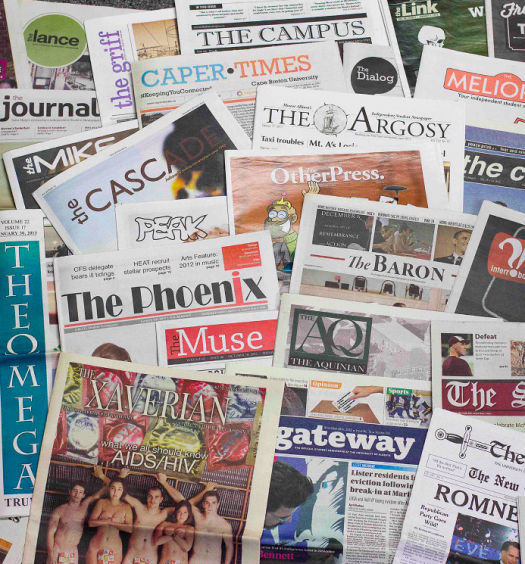 Student-run newspapers tend to take a hard look at the university and college ecosystem and hold educational decision-makers to account, said Sally Haney, the assistant chair of journalism at Mount Royal University in Calgary. “If we see those (campus) publications shuttered because of policies such as the one that Ford is executing, that is a big blow for a healthy democracy that needs to have journalists examining decisions in the public realm,” Haney told J-Source. Haney is working on a study examining whether journalism programs have a bigger role to play in generating local news, now that there are fewer and smaller community news outlets. So far, Haney’s group has heard from 22 universities and colleges across Canada that run journalism programs, and data analysis is ongoing. These programs include hundreds of journalism and broadcasting students who engage in local news reporting, and Haney’s team is interested to see how they can fill the voids left by shuttered newspapers. More than 250 Canadian news media outlets closed in the past 10 years, according to data from the Local News Research Project, most of them community newspapers. Those outlets that do survive reduce beat reporting in favour of general coverage, to save on costs, Haney said. 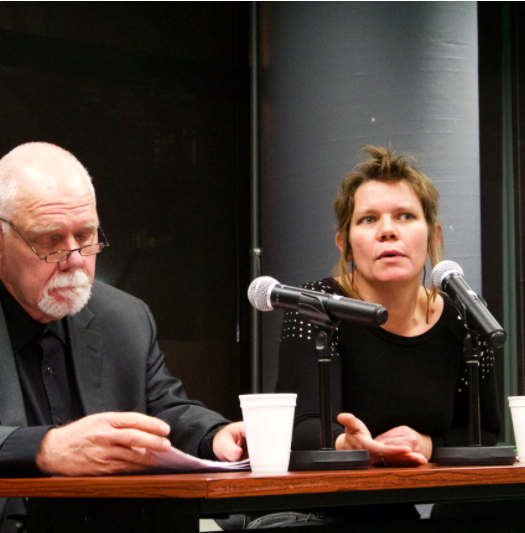 In an era where education beat reporting is shrinking due to ongoing local news cutbacks, these student outlets serve a vital municipal role, Haney argued. In January, Doug Ford’s Progressive Conservative government announced that most ancillary fees students pay will be optional, with the exception of pan-campus services such as athletics. The Globe and Mail reported that most students pay between $500 and $2,000 a year in these fees, which not only go towards campus media, but also support services such as student government, LGBTQ centres and food banks. A media spokesperson from the Ontario Ministry of Training, Colleges and Universities did not respond to a request for comment. In addition to concerns about the effects of cutbacks on their levies, student journalists across Ontario are worried about the democratic process for students. “An opt out at registration is not democratic,” said Matthew Crosier, station manager of Carleton University’s student-supported radio station, CKCU. More than two-thirds of the station’s funds come from levies, and the station endeavours to raise $130,000 annually through fundraising to supplement the guaranteed funding. This money in part supports four full-time staff and more than 200 volunteers. Ryerson University’s student radio station, CJRU, has an annual budget of about $460,000 to $485,000, with roughly 70 to 74 per cent supported by student levies. Since radio includes fixed equipment costs that cannot be reduced, the radio station anticipates “substantial change” after the board and executive meets to discuss the potential loss of the student levy, said general manager Jacky Tuinstra Harrison. 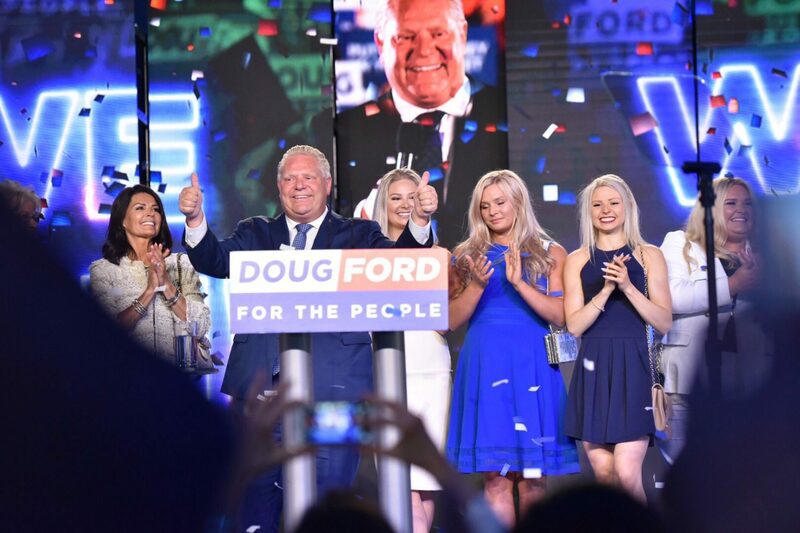 At the University of Guelph, the student-supported the Ontarion also serves a vital role in municipal events, such as the 2018 election. That’s because two years before, Metroland Media shut down the Guelph Mercury. This leaves Guelph as one of the only cities in Ontario with more than 100,000 people lacking a community newspaper, according to the Ryerson Review of Journalism. While editor-in-chief Mirali Almaula said the newspaper is working hard on a plan, the worry is funding changes may happen too quickly for the newspaper to keep up – forcing it to shut down after nearly 70 years of operations and leaving Guelph closer to a “news desert.” Or the newspaper will need to become virtually volunteer-run, with only one or two paid staff members. Annual expenses are $281,000 and about half of those are paid by the student levy. The editor-in-chief currently earns $34,400 a year while section editors earn minimum wage. Many staff members at student media outlets are paid an honorarium in recognition for their work, but in most cases it’s nowhere near even a starting journalism salary. At campus newspapers, for example, students often drop to part-time studies to take on the load of a section editorship, receiving perhaps a few hundred dollars a month for their efforts. While editors-in-chief make a larger salary, it’s still difficult to make a living in cities such as Toronto, where there is a high cost of living. 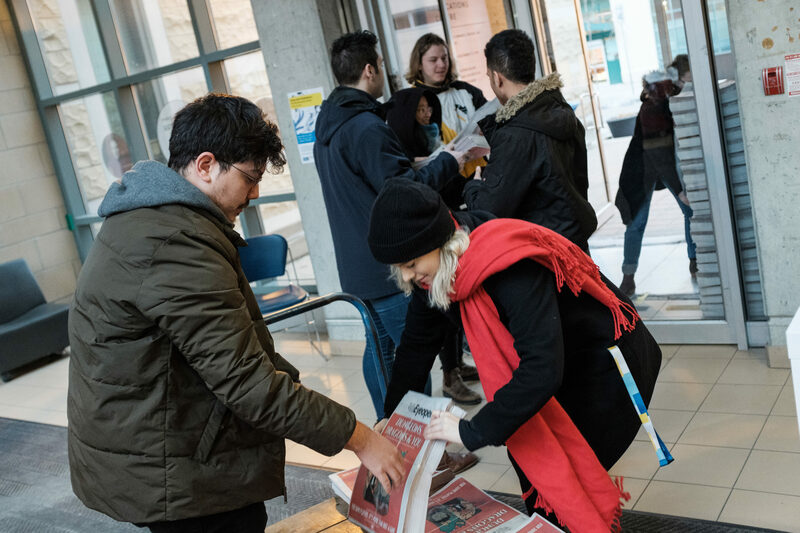 At Ryerson student newspaper the Eyeopener, the levy made up nearly 88 per cent of the $490,500 budget in 2017-2018. This year, the budget supports 23 staff members, 19 of whom are students. Most editors make $250 a week, while the editor-in-chief receives $600. “It’s less than they’d be paid for their time elsewhere, but we try and make it as sustainable to living in Toronto as we can,” said Jacob Dubé, editor-in-chief of the Eyeopener, by email. The Eyeopener’s recent work includes finding financial irregularities in the Ryerson Student Union’s spending. Shortly after their report was published, the Ryerson Students’ Union (RSU) voted to impeach the union’s president. Carleton University’s the Charlatan supports 16 staff members, including 11 editorial staff, a business manager and four volunteer positions with tiny honorariums. Section editors receive a weekly honorarium between $120 and $160, while the editor-in-chief is paid $721.94 biweekly. “I can confirm that a few of my editors definitely have second jobs while also balancing full-time school and their editorial duties,” said editor-in-chief Karen-Luz Sison by email, and that’s with 65 per cent of the 2017-18 annual budget of $239,844 coming from student levies. “Losing a portion of our student levy would mean having to do a complete organizational restructure, and likely even making editorial staff positions more volunteer-based, with an annual lump-sum honorarium,” Sison added. Those Ontario post-secondary institutions with journalism programs often have two types of campus media outlets: those affiliated with the journalism program, and those that are independent of the program and supported by student levies. For example, one of Carleton University’s program-linked student publications is the digital-only Capital Current, while student-supported media includes radio station CKCU and newspaper the Charlatan. This means that campus media will not disappear altogether, even if the worst fears surrounding the student levy loss come true. Haney warned, however, that some issues may not be included in program-supported media. “If we see publications that operate via student levies shut down, you’ll see debate around issues like tuition and equitable access evaporate, because I don’t know who else would fill that slot. Elizabeth Howell is a space journalist and science communications professional based in Ottawa, Canada whose clients include CBC, Forbes and Space.com.